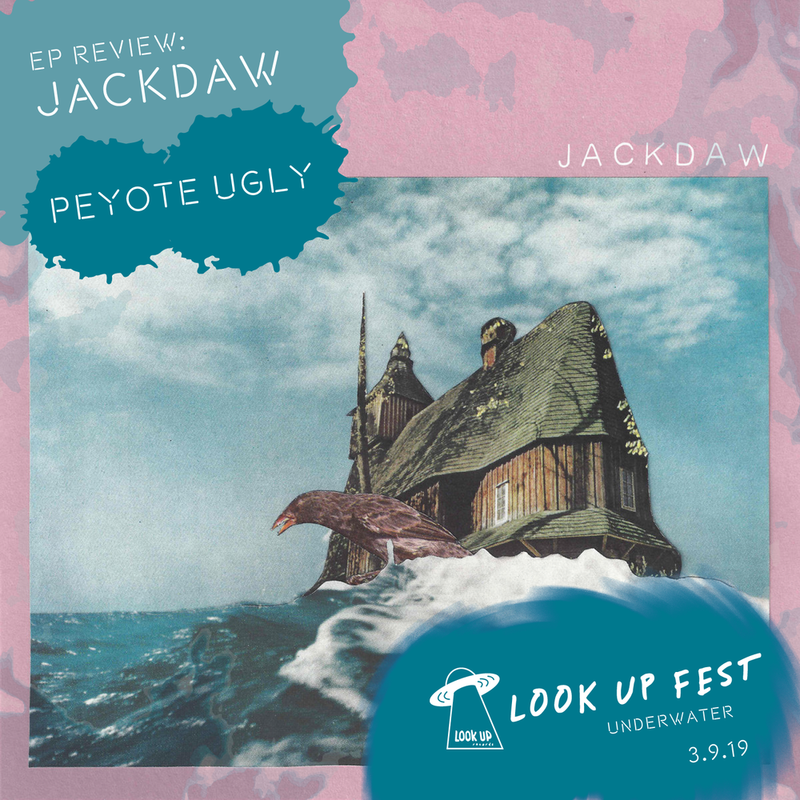 Psychedelic rock trio, Peyote Ugly, have delivered stunning blends of psychedelic rock to lull the listener into dream worlds. This follow up project to Peyote Ugly’s 2017 self titled EP slides through the eardrums and leaves you humming along, entranced. The gritty psychedelic landscape that is maneuvered through the EP sings a tale through glistening synths and deep memorable guitar hooks. Like a wave overtaking a surfer, the tracks “Home” and “Over and Over”, drown the listener in moody melodies and laid back impressive vocals. The EP also pairs spacey guitar ambience with groovy vocal melodies, in “Where’d you run?” and “Tidal Wave”, creating an anthem easily listened to on repeat. You can drown yourself in psychedelic beats by Jackdaw on Bandcamp, Spotify, and Apple Music. You can also check them out live at Chop Suey on January 27th with Tents and Eastern Souvenirs, and at Base on March 9th for the Look Up Fest: Underwater. Timothy O’Brien is an interdisciplinary artist specializing in music composition, writing, and visual arts in Portland, Oregon. Timothy has self-published multiple literary works, and premiered music and visual art throughout the Pacific Northwest.